Sometimes we are kept away from being present physically with the causes that we support. Sometimes that is because of the busy lives we all have in activism and sometimes it is because meetings are held in other countries and are not accessible to us whether clergy or lay members of the UMC. Even so, we work to ‪#‎showup‬ in our own contexts in the ways that we can, when we can. In what ways do you #showup for justice? 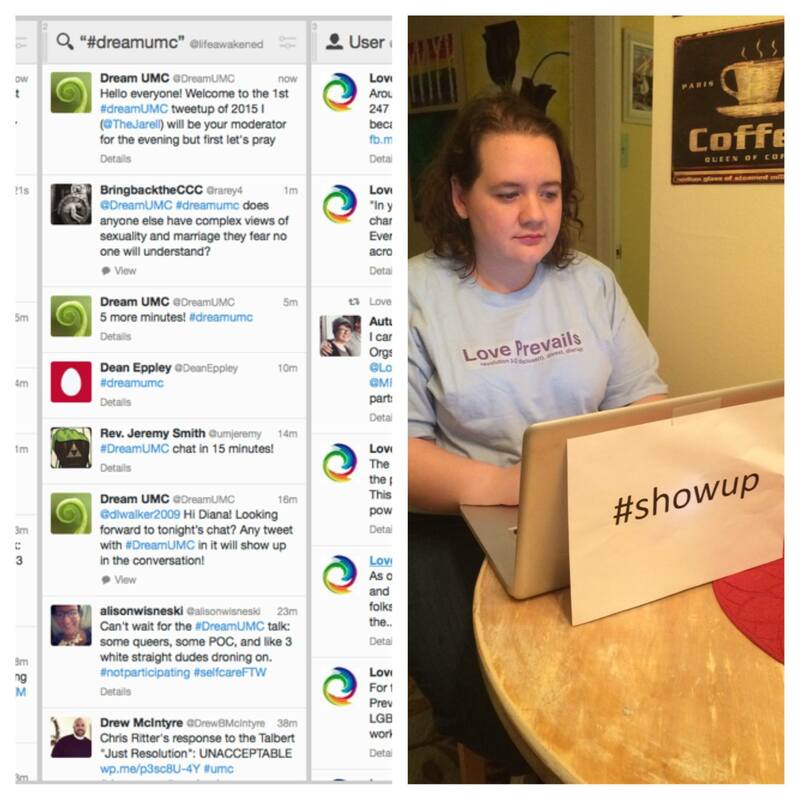 Below is Love Prevails member, Laura Ralston, participating in the ‪#‎DreamUMC‬ twitter chat leading up to the next Connectional Table Meeting.